When Voice over Internet protocol (VoIP) first emerged on the market a few years ago, buyers were concerned about maintaining the quality of phone connections. Now that VoIP has proven itself as reliable, choosing the right business phone system comes down to understanding how specific features can make your company more profitable. 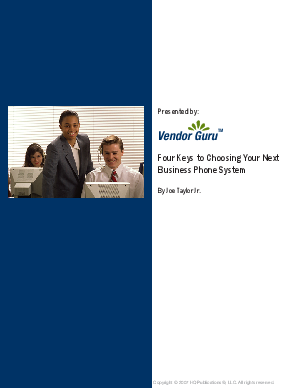 Read this white paper to recognize the most vital features of any business phone system.